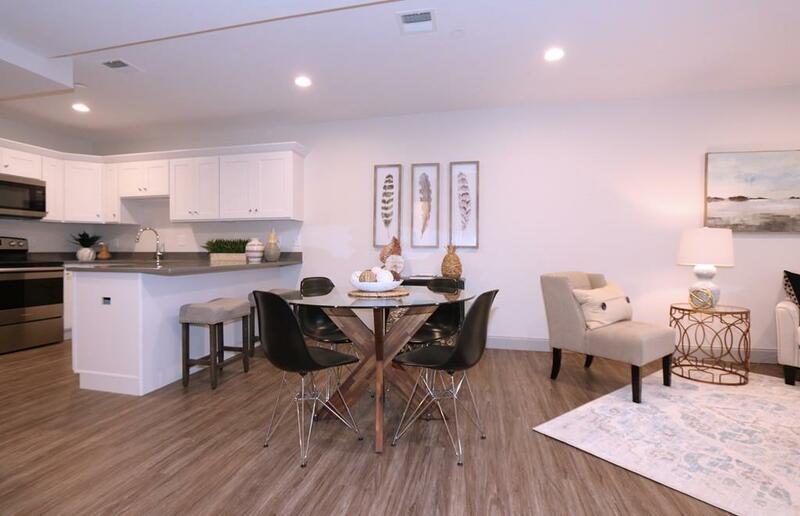 THREAD Hyde Park, a new 32 unit luxury apartment building has an available 1 bedroom for February 1, 2019! The unit has a large kitchen with open concept and bar seating with white shaker style cabinets and quartz counters. Great closet space and onsite storage closet. Durable flooring in living areas, carpeted bedrooms and tile baths. Nice lobby and common room. Heated garage parking for one car Commuter rail options close by to downtown, easy access to Rte 128 and 95. Tenant Requirements: 650+ FICO score, no late payments last 12 months, no prior eviction filings, debt & housing ratio can not exceed 55% of income, no prior felony convictions. All applicants are screened, all applicants must provide verification of income or ability to pay. Listing courtesy of Greater Boston Rental Group of Insight Realty Group, Inc.. Listing provided courtesy of Greater Boston Rental Group of Insight Realty Group, Inc..